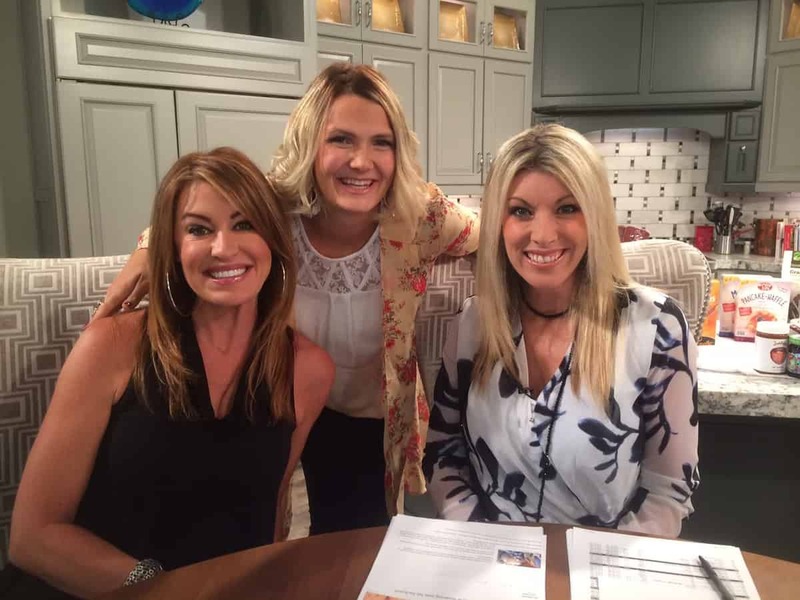 I had the pleasure recently of joining the gals of Good Things Utah in discussing travel while living gluten-free. 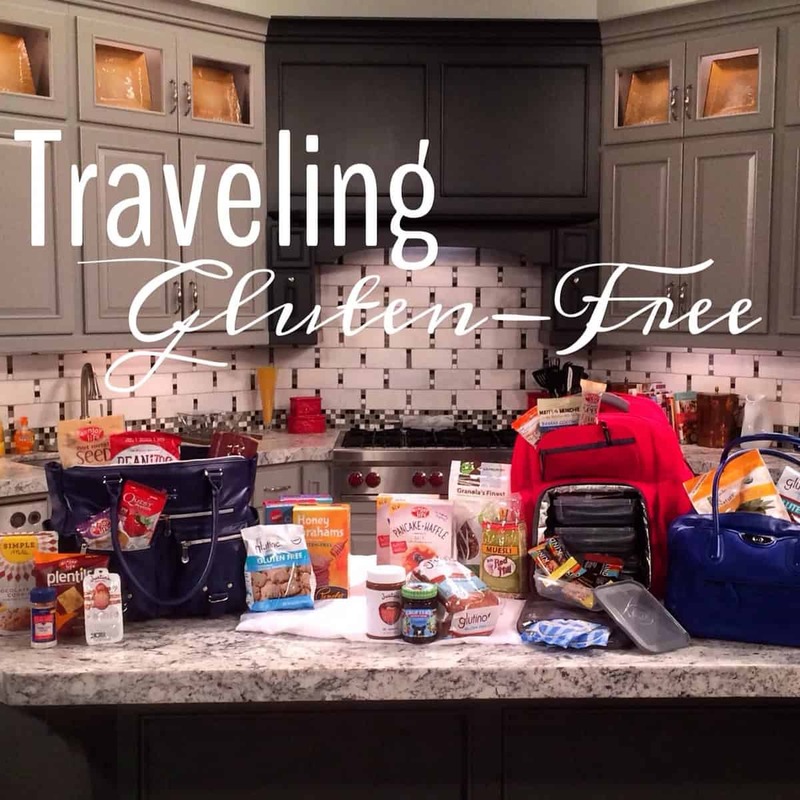 I discussed the main topics regarding traveling gluten-free, including being prepared, making reservations ahead of time and using great apps like Find Me Gluten Free & CanIEatHere.com. I have discussed this topic in full detail in multiple places including in this blog post and TV segment we did for 3TV as well as HERE on the 6 Pack Fitness blog. We absolutely love these bags and truly can’t imagine traveling without them. 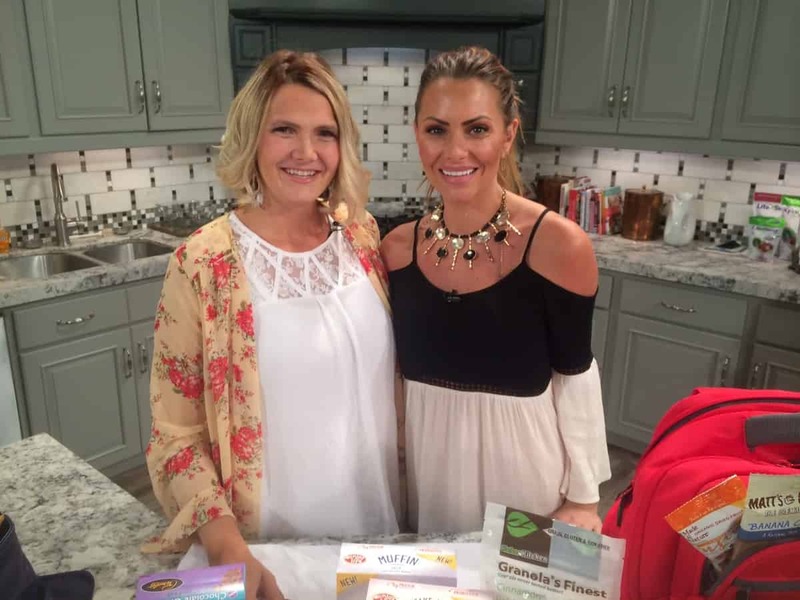 I use them as my everyday purse and diaper bag as well as for trips and hiking adventures. 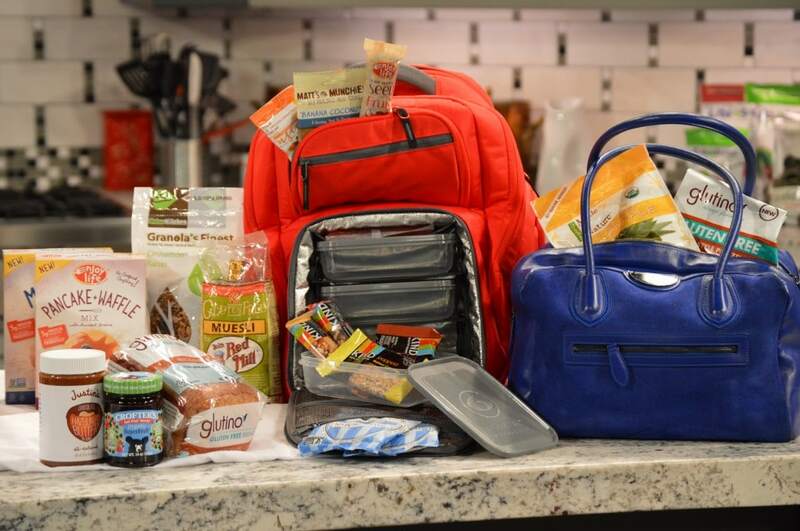 This segment I featured the NEW navy blue Renee tote from 6 Pack Bags (larger blue bag filled with goodies), the red Expedition 300 backpack and the blue Vixen purse (small blue bag). 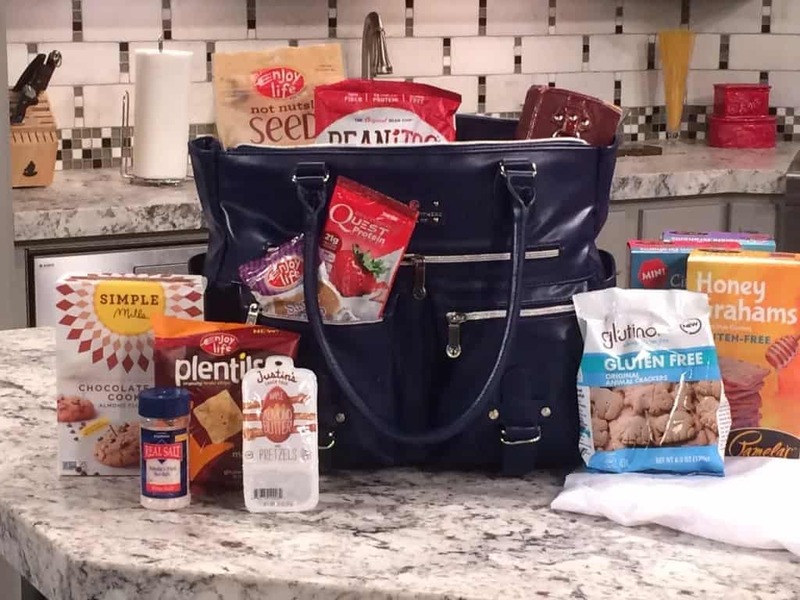 I shared some of my favorite snack foods for travel including Enjoy Life Foods plentils, cookies, no nuts seed mix and NEW baking mixes that are perfect for once you arrive or making ahead of time. I also shared KIND Snacks new popped bars and my favorite traditional bars, caramel sea salt & chocolate cherry cashew. Some other products featured were Glutino bread, pretzels & animal crackers, Simple Mills chocolate chip cookie mix (great for making ahead of time to enjoy grain-free treats), Bakery on Main blueberry scone instant oatmeal, Crofters jam, Justins hazelnut butter, Kahns Kitchen grain-free granola, Made in Nature dried pineapple, Bob’s Red Mill muesli, Pamela’s awesome graham crackers both sheet and minis, Beanitos chips, Quest protein powder, Justin’s NEW pretzels and almond butter snack and Matt’s Munchies fruit snacks. I also always have a bottle of Real Salt with me wherever I go so had to bring that. These are just some of my all time favorite gluten-free travel foods in addition to fresh fruits and veggies, jerky and kombucha. Thanks so much to Michelle Money for her sweet shout out to my sister who was in labor at the time and watching the segment in her hospital room (she is her biggest fan ;). It totally made her day! *I am a 6 Pack Fitness ambassador and receive products for review as well as a commission on products sold using my link. I also receive products featured in this post for review purposes however, I am not required to write positively about them. I enjoy these products and want to share them for that reason. These are my opinions and my opinions alone.